My apologies to all our Sepia Sceners from around the globe who've have been waiting today to participant in Sepia Scenes and to sign Mr. Linky. I've been distracted of late. But here's my Sepia Scenes post that I got up as soon as Mojo reminded me! I went through the steps for Half Sepia to get the results you see above. 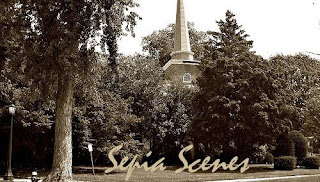 Come join us by posting a Sepia Scenes posting and then signing Mr. Linky and leaving a comment. Don't forget to visit your fellow participants. 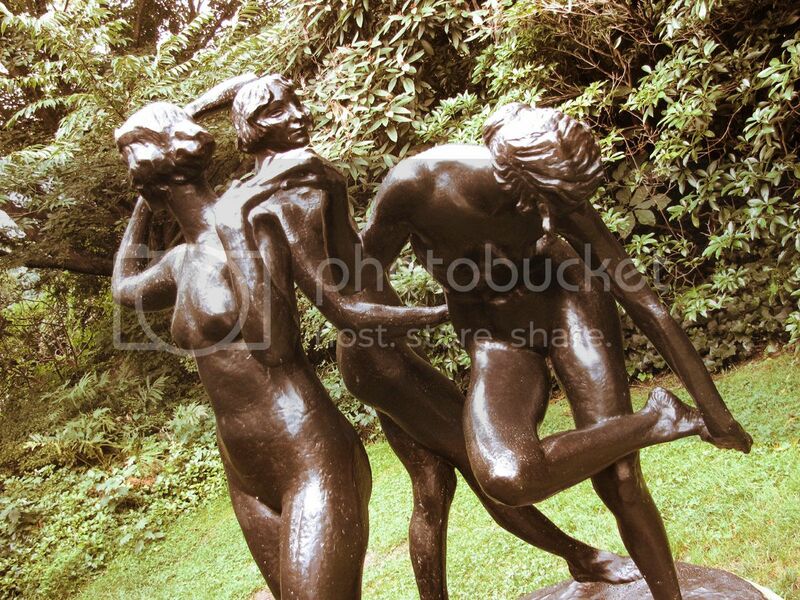 An enchanting example of the "Three Graties". Both the way you're angling the shot and the half sepia editing of your photo are new and challenging to me. I know I shall have to try someday. Now that? Is my kinda sculpture! That's wonderful editing. I experimented myself with sepia and color in a single image. Oh, this is a great sepia work maryt and thanks for giving us the link on how to do half sepia. Mine is up now. Hope am doing good now with sepia. Have a nice day to all! Beautiful effect having the color peek through in the background. Very graceful image. Love the sculpure and your processing! I really like this one Mary! Hope all is well, Mary. I missed you! I like this a lot, Mary! The sculptures are lovely and the editing is great. Really nice in Sepia Mary. Well, it was worth the wait! Very lovely ! He might just like that statue in his yard!! an interesting effect for an interesting sculpture. If you want to wander down my road I’m home. I really like the half-sepia editing in this lovely statue. Love your sepia today! It's very beautiful! Have a great day! We all get busy, it's ok. I hope everything is Ok. Interesting photo. It almost looks like it was some wild party. Just kidding. It's a lovely photo! That's a very interesting effect for "half sepia" and a lovely sharp photo full of charm and rich appeal. Using it for the "Three Graces", which is a subject often drawn or painted in art classes, reminds me of the "trois crayons" technique I've used in many an art class. That means (From about.com): "Definition: Literally 'with three pencils', 'aux trois crayons' technique is a traditional style of drawing using black, red (sanguine) and white chalk, often on a tinted (cream) paper. The white allows crisp, precise highlights while the red adds a touch of warmth, with the black giving rich darks. These colors also meant that, with the creamy paper, skin tones in the drawing have warmth and life." Hi Mary, I don't know what I was thinking..I did my sepia scenes post a day early.